These ferns make excellent low maintenance plants. The beauty of ferns such as these deciduous ferns Matteuccia struthiopteris is evident from late April, when they emerge to unfurl their bright green fronds. By June they look magnificent. Struthiopteris means ‘like an ostrich wing’ and the common name is the Ostrich or the Shuttlecock fern. They like shade and damp and here blue Iris siberica is a wonderful companion. They spread to make an attractive colony but can be easily kept in check by removing surplus crowns. 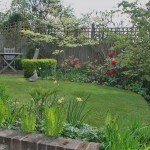 Both plants have a strong architectural presence and work well in this shady North London garden. Red Geums provide a cheerful contrast and the early yellow day lilies can be see alongside the ferns. All these plants enjoy our wet weather but appreciate the sun from time to time. 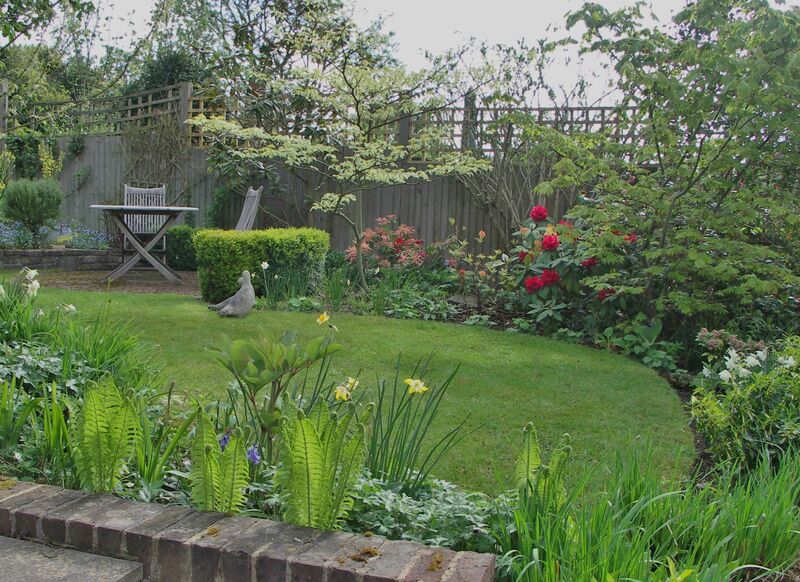 This border is very low maintenance. 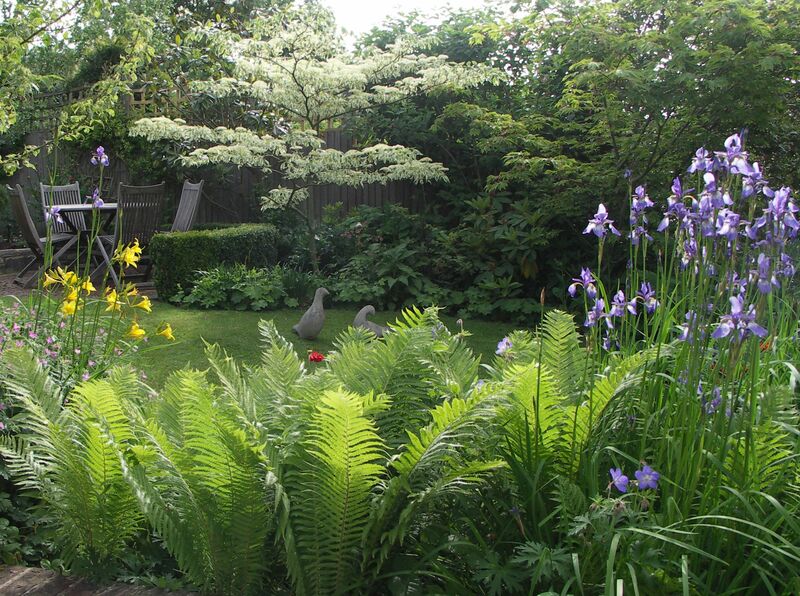 The ferns die back in autumn and can be left brown over winter and tidied up as the new fronds appear. Seedheads on the Iris siberica can be left also. The green strappy leaves of the day lillies, as well as having a good presence, die away and their stems can be left or cut back. 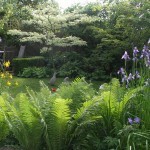 This entry was posted in Ferns and tagged ferns, Garden Design, Leaf & Acre, low maintenance plants, North London, Plants for shade and damp on June 24, 2013 by admin.